The morning concentrated on The Levy, and Andrew Parsons, Section Manager, Technical Skills Development at Toyota Manufacturing (UK) Ltd, started off the proceedings with an honest look at The Levy, how Toyota is making it work, and what the Automotive Council Skills & Working Group is doing to ensure Apprenticeship delivery and models are fit for purpose for the Automotive Sector. 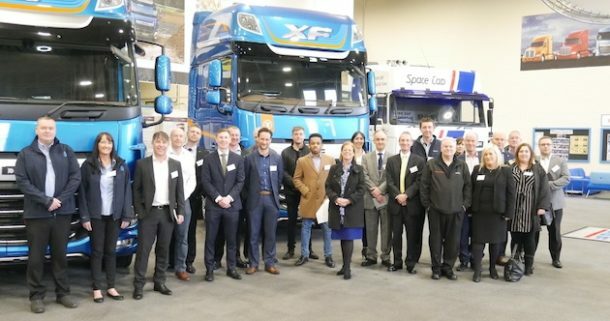 Leyland Trucks shared its models of delivery for using its Levy and James Jepson, HR and Training Manager, showed how the Levy is working for the company. The model it has introduced allows the company to even out fluctuations in seasonal headcount, reducing the need for as many contract staff. The final session in the morning gave the viewpoint from the academic world from NAA Member, Blackpool & Fylde College. Sarah Hall, Senior Business Engagement Manager, outlined flexible delivery methods that are available and how the levy can be used to upskill the existing workforce. Non-Levy payers joined us in the afternoon and heard excellent presentations from Leyland, the Advanced Manufacturing Research Council and the Lancashire Local Enterprise Partnership. Presentations covered traditional apprenticeships, degree apprenticeships and T-Levels; the new qualification that is being rolled out from 2020. The final session was a new member hotspot from James Davie Consulting and we look forward to working with James over the coming years. Then followed a site tour with current and past Apprentices leading the tours. “It was a fascinating visit to Leyland Trucks today, and great to see the company’s excellent application of 5S and lean manufacturing. It was also particularly inspiring to see the dedication and enthusiasm of the apprentices. Thanks to all the team for your hospitality”. Matthew Kershaw, Operations Manager, Setco Automotive (UK) Ltd.